The ‘think-tank’ of the Indian Army, Lt. Gen. Madhok is the former General Officer Commanding-in-Chief, Army Training Command, Indian Army. A leader with a distinguished military career, having managed and motivated large task forces, he inspires his audience through his talks about leadership, motivation and morale. 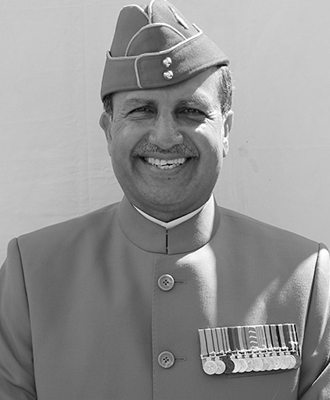 Lt. Gen. Madhok was widely known for his transformational outlook, and innovative out-of-the-box thinking. He addressed the core issues, from concepts and doctrines to training for combat readiness and infrastructure development, of the Indian Army. He introduced visionary concepts like ‘Scholar Warrior’ – someone with unrestricted thinking and the ability to look beyond the obvious. He has also served with the Ministry of External Affairs (2006), has represented India in a UN mission, and addressed the Indo-US Military Cooperation Group (MCG) at the Pentagon. He has authored the book, ‘Dare to Dream Big – Some Inspirational Thoughts on New Age Leadership, Philosophy of Life and Success’. Although? available for all, it is specifically aimed at young military professionals.